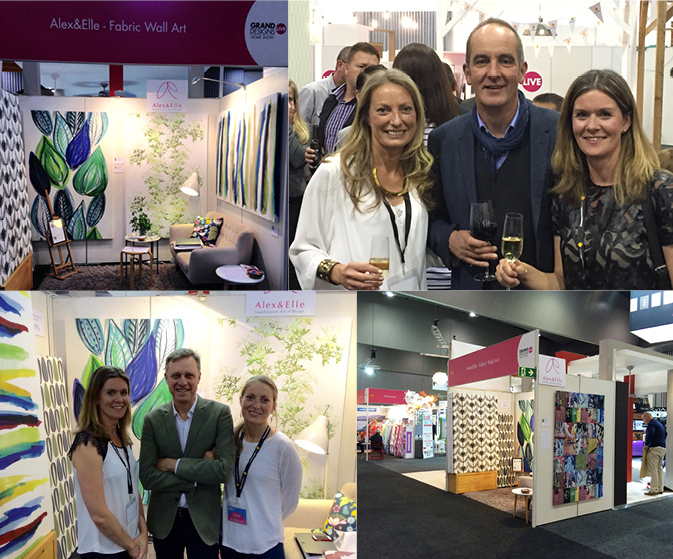 The Grand Designs Live Home Show a couple of weekends ago was a success forAlex&Elle. It was the first time we exhibited our fabric wall art to the public. The response was overwhelming! We were busy the whole weekend presenting our designs and taking orders. Thank you so much to everyone that stopped by and for your encouraging words.